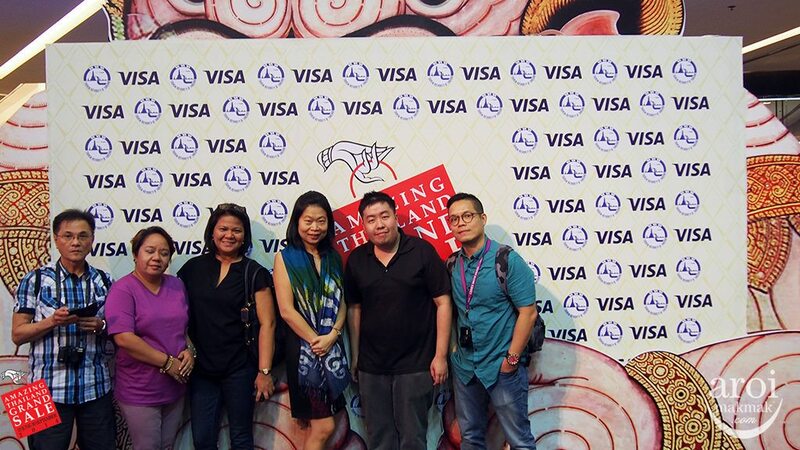 I had the privilege of being invited to “Amazing Thailand Grand Sale” Media FAM Trip 2014, organized by Tourism Authority of Thailand (TAT). 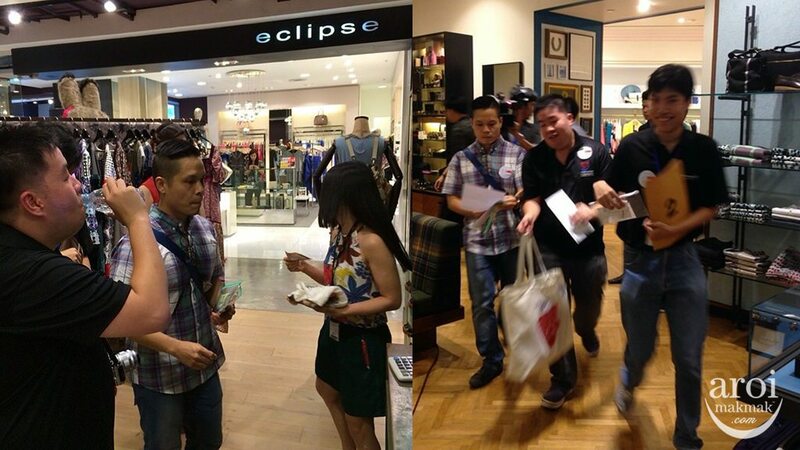 Last year, I was also invited for “Find Your Fabulous” Media FAM Trip 2013. Feeling very blessed and honoured. Being part of the Media FAM Trip, we got to experience some new stuff as usual. Do stay tuned for a more detailed post of the individual events. It will be updated progressively. 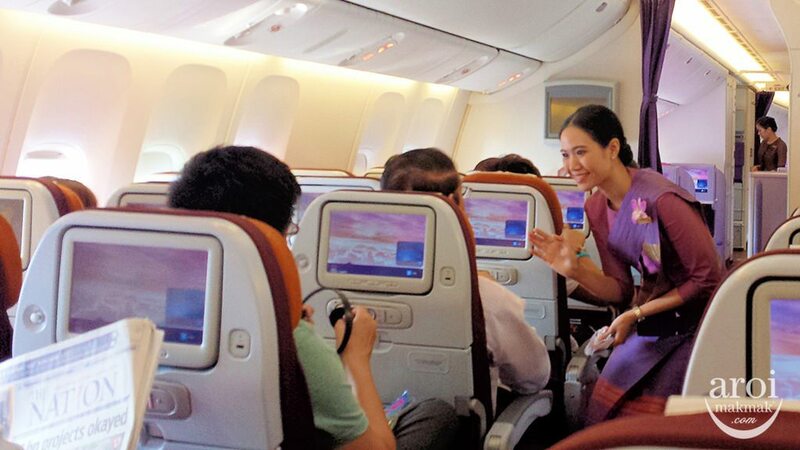 Flight to Bangkok was by Thai Airways (TG) and this time round, I managed to try out their new Royal Orchid Service cabin and service. Seats were comfortable, Audio Visual On Demand (AVOD) system was interactive and offered lots of movie choices. I watched a Thai comedy in comfort with the large screen in front of me. Most of the time, airplane food is hardly appetising but I was glad that the meal served on board Thai Airways was good. 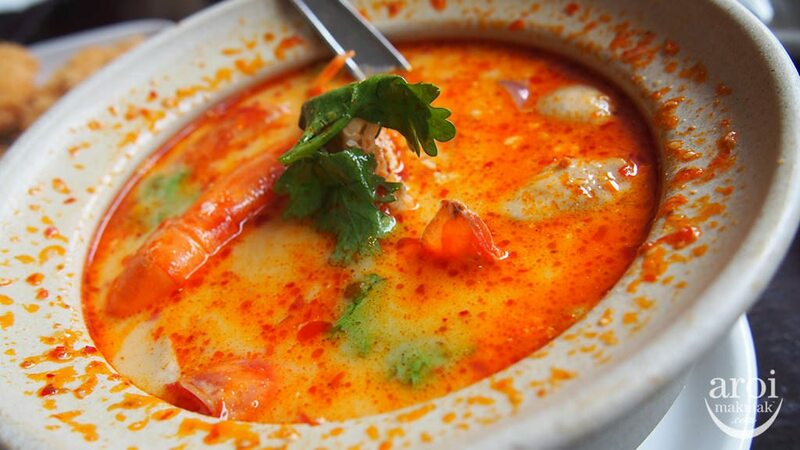 I chose Tom Yum Prawn with rice and the Tom Yum Prawn was flavourful. 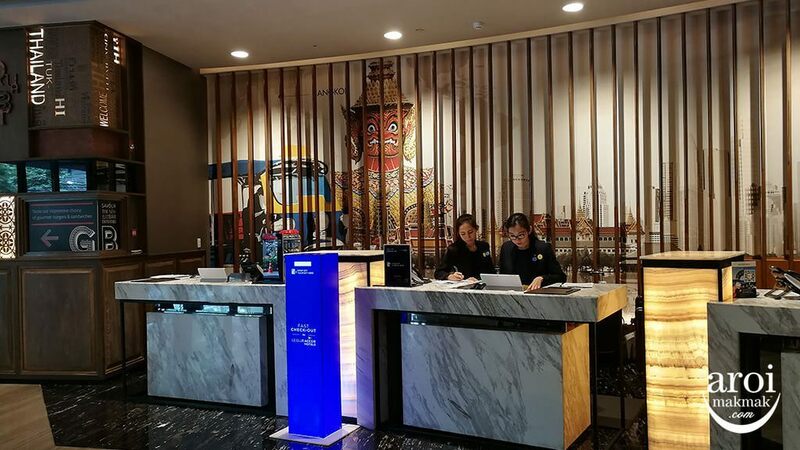 Hotel Novotel Bangkok Ploenchit Sukhumvit is a contemporary 4-star hotel just situated next to BTS Ploenchit station and it makes going to many major attractions in Bangkok a breeze. 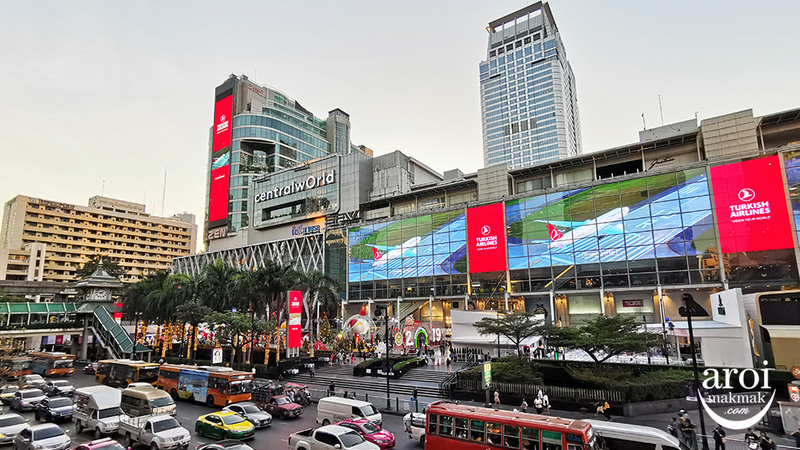 Siam Paragon, Central World, MBK, Terminal 21 and Central Chidlom are just few train stations away and the latest luxury shopping mall in Bangkok, Central Embassy is just diagonally opposite. With Novotel being an international brand, you can be assured of its standards. 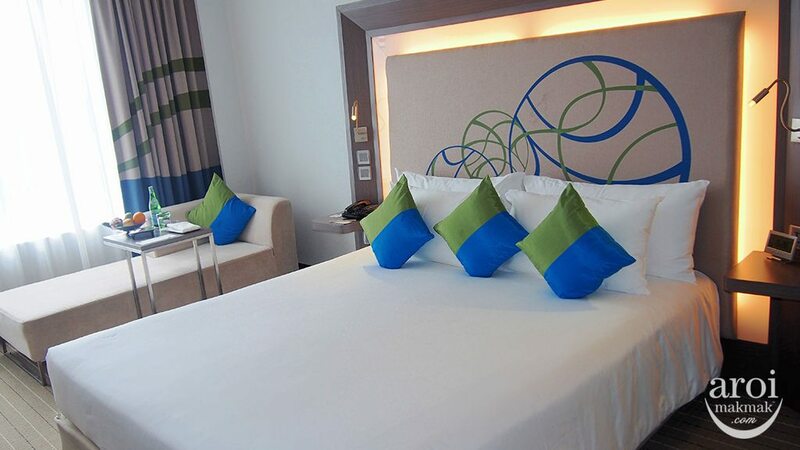 The rooms and facilities are big, modern and comfortable. 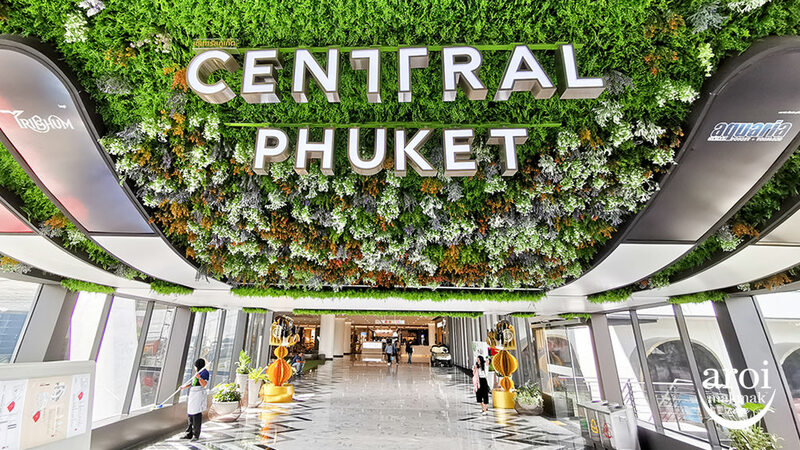 Central Embassy is the latest luxury shopping mall in Bangkok and they are located on the the most expensive plot of land in Bangkok on Wireless Road and Ploenchit junction. The building of Central Embassy is iconic and it will be sure to attract your attention once everything is complete. 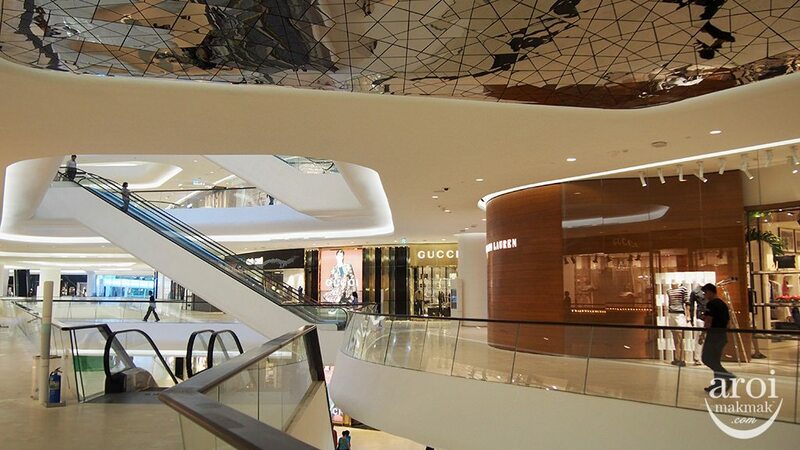 Other than luxury brands, Central Embassy houses many reputable restaurants, designer brands, Ultra-First Class cinemas and much more. 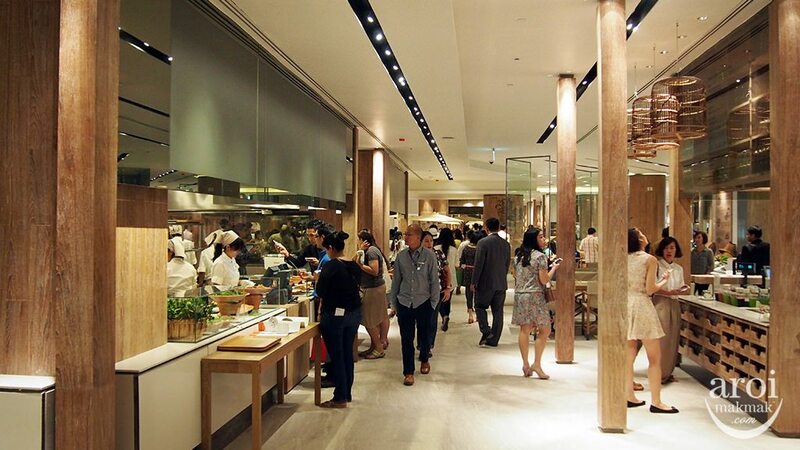 Eathai is a Thai Food Kingdom bringing the best of every restaurant and street food together in one place. 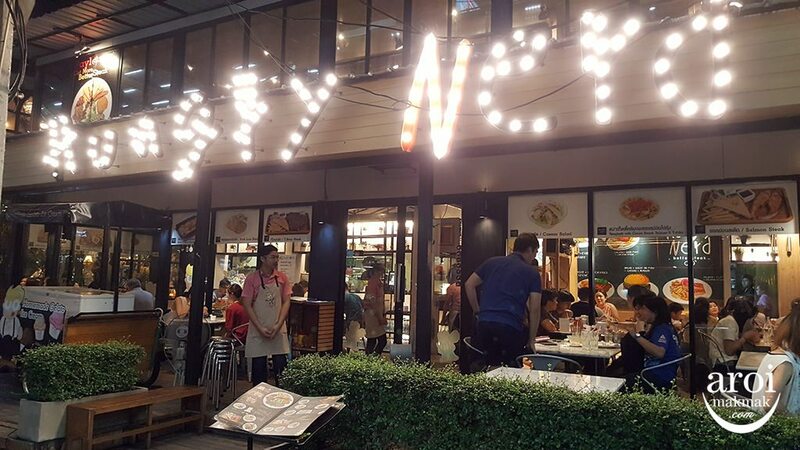 If you do not have enough time in Bangkok or your don’t mind losing a bit of the authenticity of dining at the original stalls, this is a good place for you all to try the best of Bangkok. 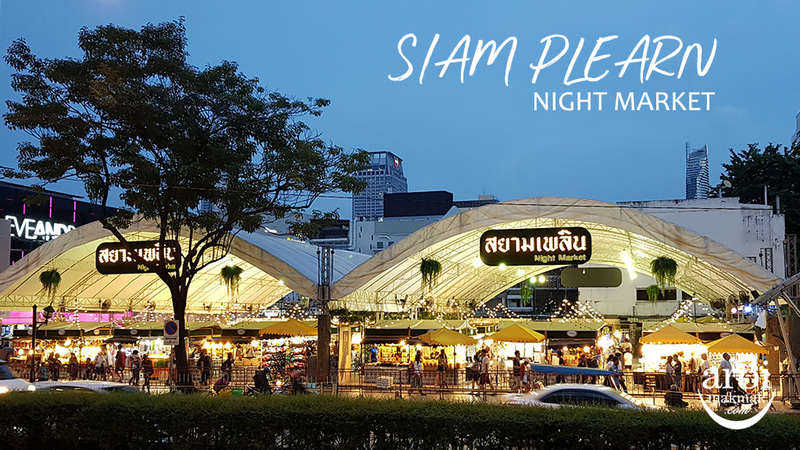 Imagine having the best street food in Bangkok at one place in a comfortable environment. Of course the prices are definitely higher than the original stalls. 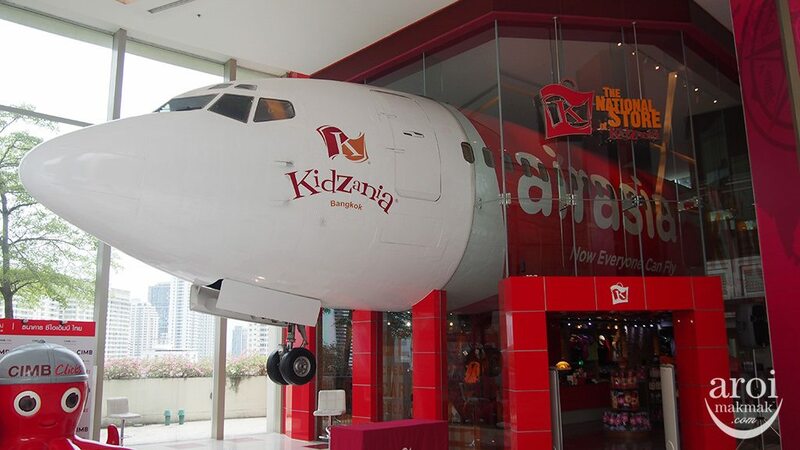 Kidzania Bangkok is the 12th Kidzania in the world and also the largest indoor edutainment centre / theme park. 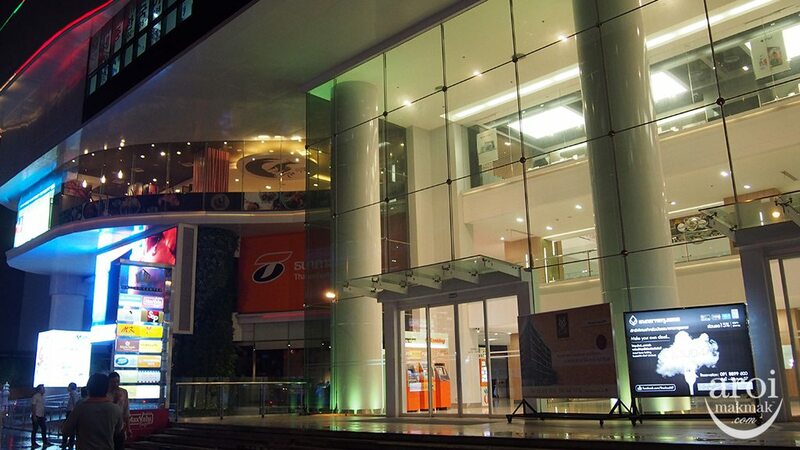 Kidzania is a life-like, kid-sized city offering children from 4 to 14 years old a unique and engaging role play experience that also helps develop essential life skills, such as money management, independent decision making and teamwork. A tour around Kidzania made me want to go back to being a child so that I can enjoy the facilities there! 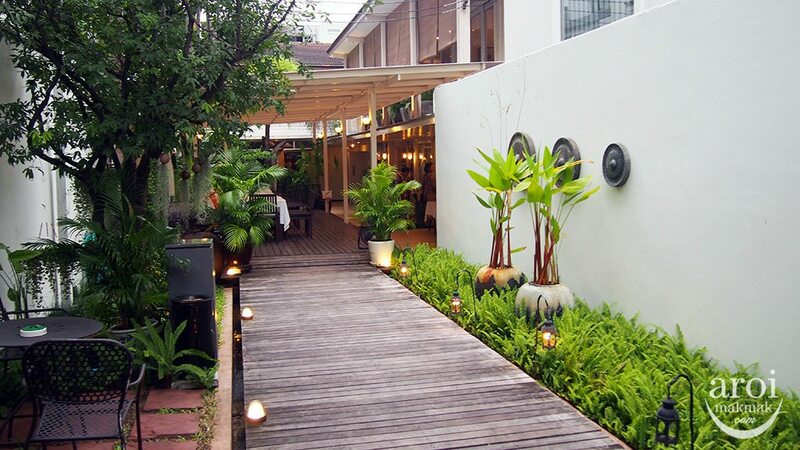 Taling Pling is a cosy restaurant which serves up delicious Thai cuisine. Yes, there are many places which serves up good and delicious thai food. Taling Pling is for you if you want to just have thai food in a comfortable restaurant setting. This is also a good place to bring your friends if some of them have worries about eating street food or stalls. 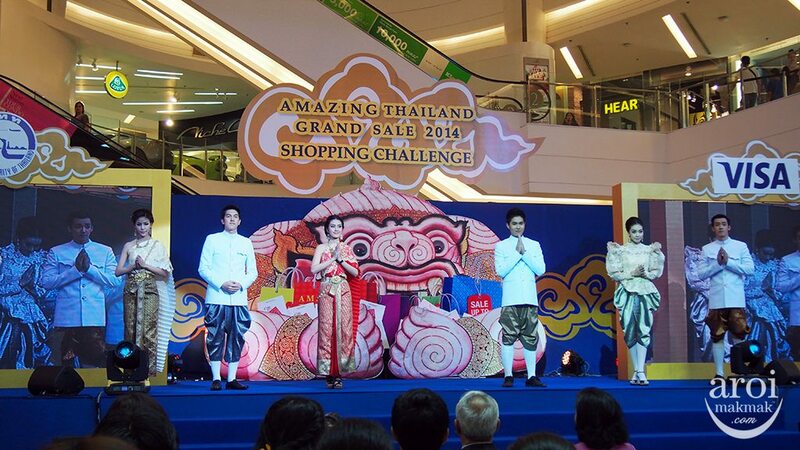 Amazing Thailand Grand Sale 2014. We are here for the press conference and launch of this major annual event. 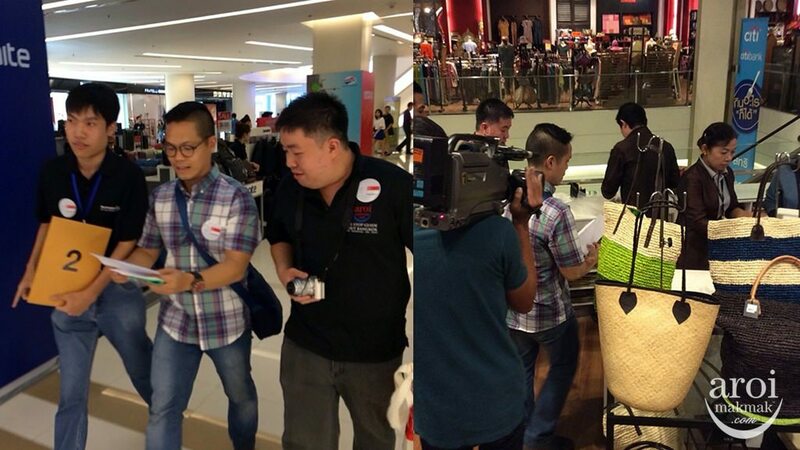 There were also many models representing the various countries present who will be participating in the Shopping Challenge. 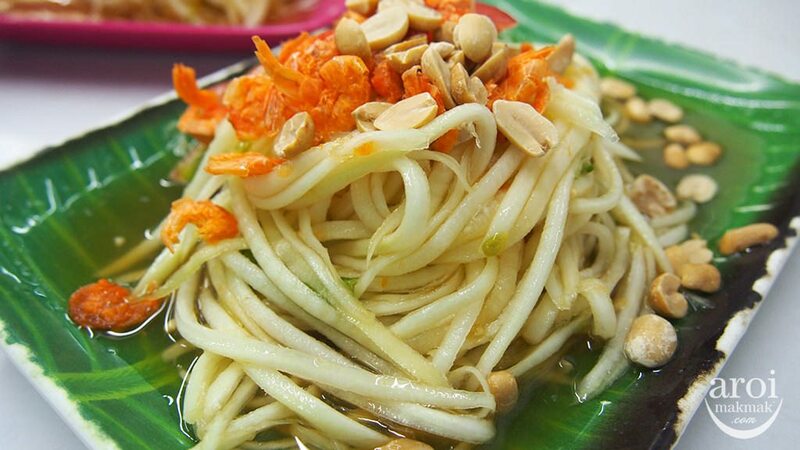 Hai Somtum Convent as the name suggests, is a place famous for Som Tum (Papaya Salad) and Isaan cuisine. Som Tum is Thailand’s most popular salad and appetiser. You can find this at almost every corner of Bangkok but over here at Hai, it is packed for lunch and dinner. Being so packed, you can be assured of it’s quality. But don’t leave here with our trying the other Isaan dishes such as Thai style Grilled Chicken (Gai Yang) which will make your meal complete! Muay Thai Live is an epic live-show that captures 300 years of Thai Boxing history through combinations of fights, stunts, drama, music, astonishing light system and sound effects. It’s educational and entertaining because you get to know the history and also the stunts of Muay Thai. 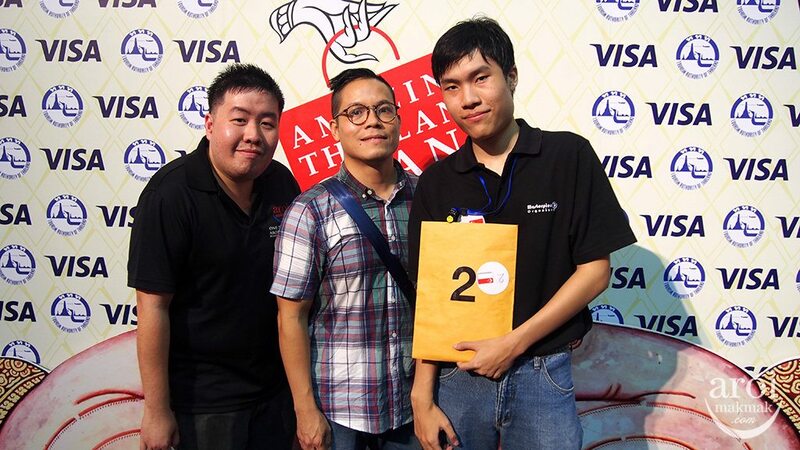 This stage show is created and directed by Ekachai Uekrongtham. The show time is 8pm daily at Asiatique, The Riverfront. 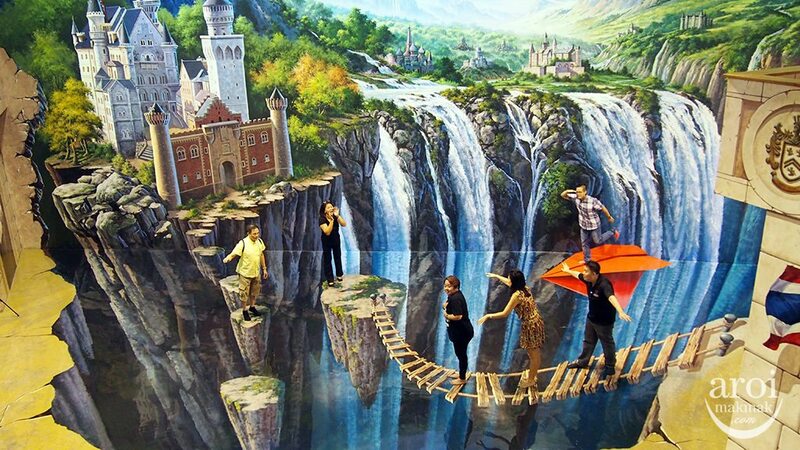 Art in Paradise is the First 3D Art Museum in Bangkok. All paintings here are drawn by world class artists and the paintings look so real! At Art in Paradise, there are 150 paintings with different themes, divided into Aquarium & Safari, Classic, Nature, Fantasy, Modern and Media Art. All of us had an enjoyable time inside taking lots of photos. 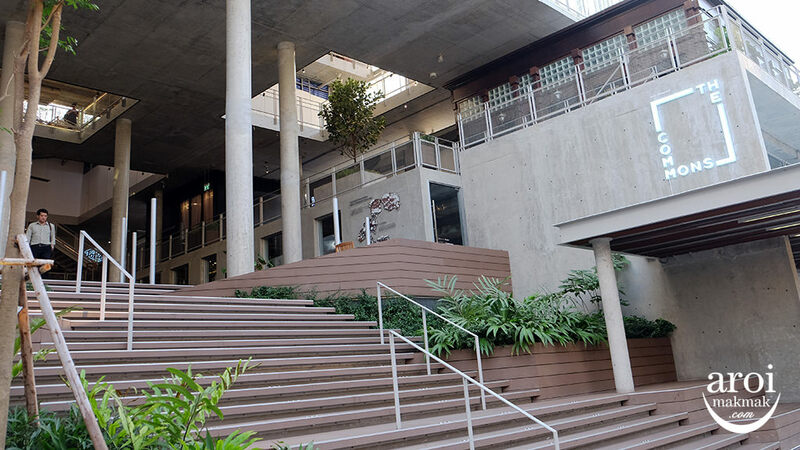 Art in Paradise is located at Esplanade Shopping Mall and the nearest MRT is “Thailand Cultural Centre”. Don’t miss want to do something different with your friends and families! Lee Cafe is a simple casual restaurant serving Chinese-Thai style dishes. 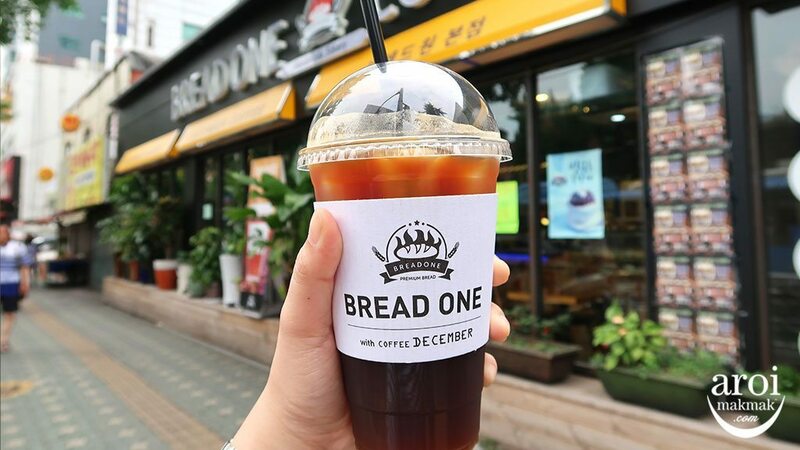 They are located at many major shopping centres and when you are at Lee Cafe, don’t miss out their signature Carrot Cake which is crispy on the outside and soft on the inside. Another favourite were the chicken wings (as pictured above). 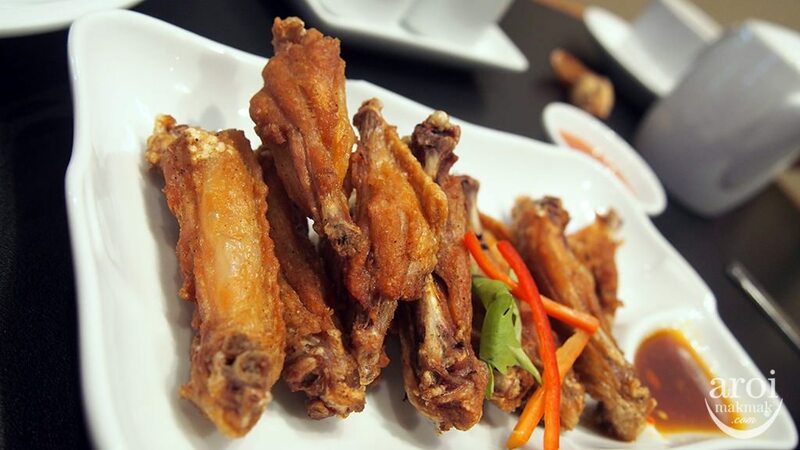 It is tiny as compared to other chicken wings but once you start eating, you can’t stop! 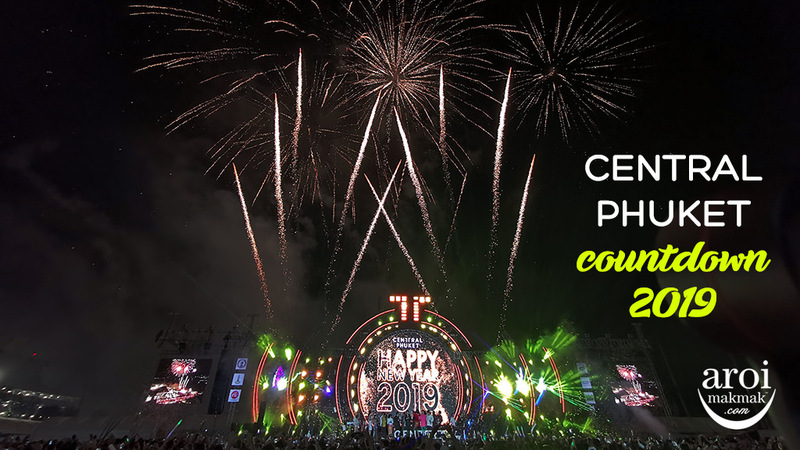 Joining this fun competition are 15 teams, each comprising well known media figures and celebrities from 11 Asian countries – Malaysia, Indonesia, Singapore, the Philippines, India, Vietnam, Cambodia, Taiwan, China, Korea and Japan. So, everybody is taking photo of us, really felt like a celebrity! Haha. 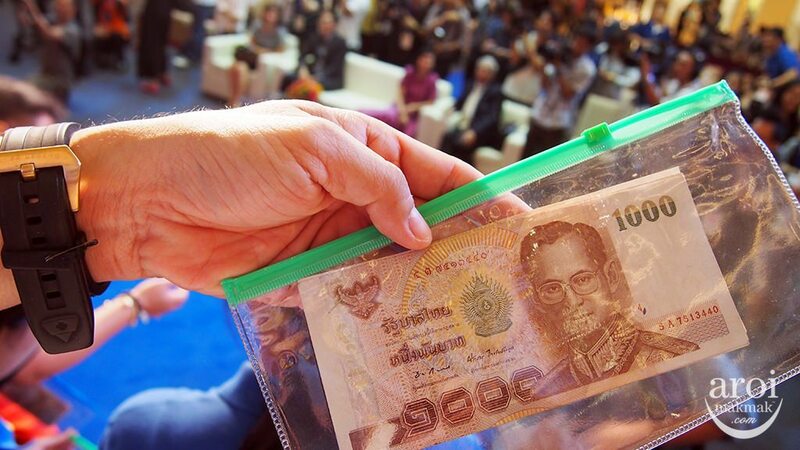 Each team will be given a shopping bag and the equivalent of 10,000 Baht with which they have to buy certain items at specified shops in the Gaysorn, Siam Paragon or CentralWorld shopping complexes within two hours. We came back within 1 hour but unfortunately, we were not the first team. We were the third team to arrive! Well, it’s also an achievement because it’s not easy to run & sprint from place to place. 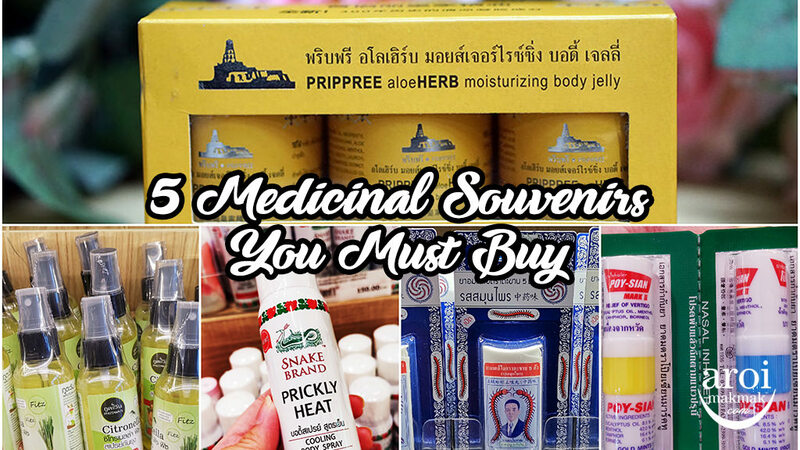 If you like shopping, don’t forget to visit a special website that has been set up (www.thailandshoppingparadise.com). The website includes a great section on “Shopping Tips” to help visitors take advantage of the best deals, to understand the VAT refund process, and to avoid buying sub-standard products. Also on the website is a special page to promote locally-made One-Tambon-One-Product goods; revenue from which helps boost the income of rural communities and local artisans. 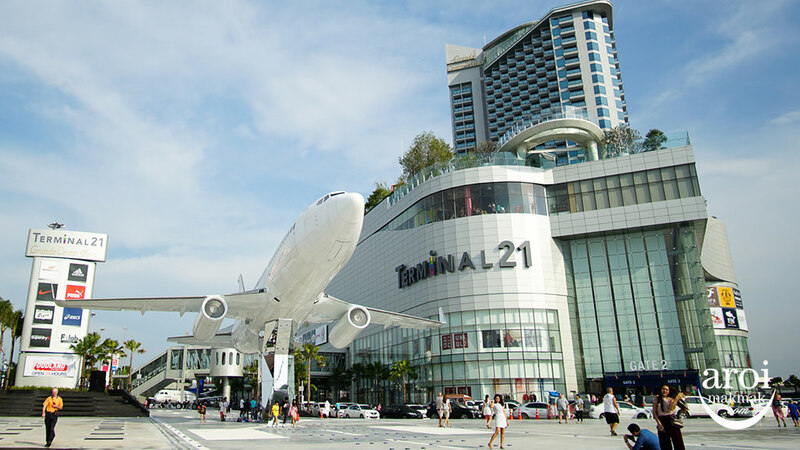 More than 15,000 shopping malls, department stores, brand-name outlets, and restaurants in seven major tourist destinations: Bangkok, Chiang Mai, Phuket, Hat Yai, Pattaya, Hua Hin and Ko Samui are offering irresistible special deals and bargains for tourists, making the next couple of months the best possible time to come to Thailand. Baan Glom Gig is a restaurant serving home-cooked Thai food. Upon entering the restaurant, you would fall in love with the atmosphere. The restaurant is a two storey white wooden house at Soi Ruamrudee. The food here is of high quality, authentic and very delicious. 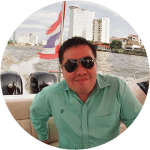 If you want to bring your clients or friends to a very comfortable, quiet place for good Thai food, why not consider this. Of course, with such settings, the price is higher as compared to other Thai restaurants. Cookin’ NANTA Show is a nonverbal performance but a very entertaining and energetic cooking show. 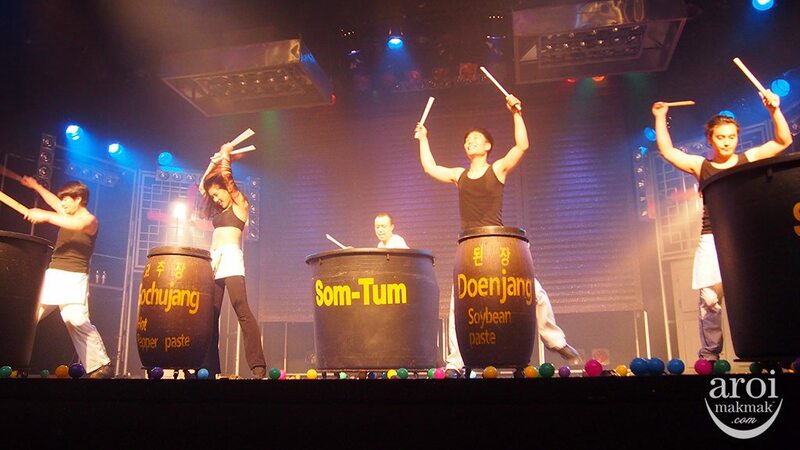 During the performance, they are actually cooking and at the same time, transforming the the utensils into musical instruments. Even though there is no speech, the actor’s skilful movements and facial expressions brought laughter and joy to the crowd. During the show, be prepared to be called up on stage for an exciting challenge too! Once again, I would like to thank Novotel Bangkok Ploenchit Sukhumvit for hosting the group of media representatives from Singapore and Philippines led by Ms.Wipaporn Waleesajjakarn, Marketing Officer (4th from left) – Tourism Authority of Thailand (TAT) Singapore office. 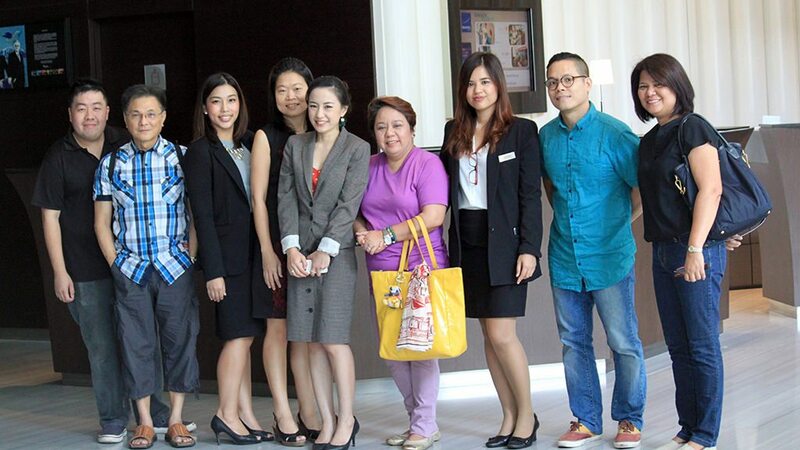 Also, thank you Ms.Ploirath Essarum (5th from left) – Director of Sales and Marketing, Ms.Tassanee Wongcampan (7th from left) – Marketing and Communications Manager and Ms.Teerawan Tuncharoen (3rd from left) – Senior Marketing Executive, for giving us a warm welcome and hotel orientation during our stay there. It was a very comfortable stay! Some of you might ask about the situation in Bangkok?!? 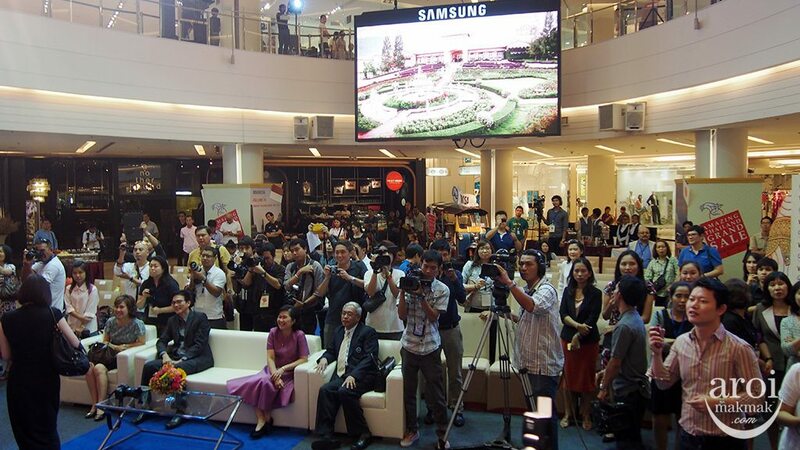 For the past months, tourism in Thailand indeed has been affected because of the protests, coup and curfews. Ever since the lifting of curfew, I would say that everything is really back to normal. 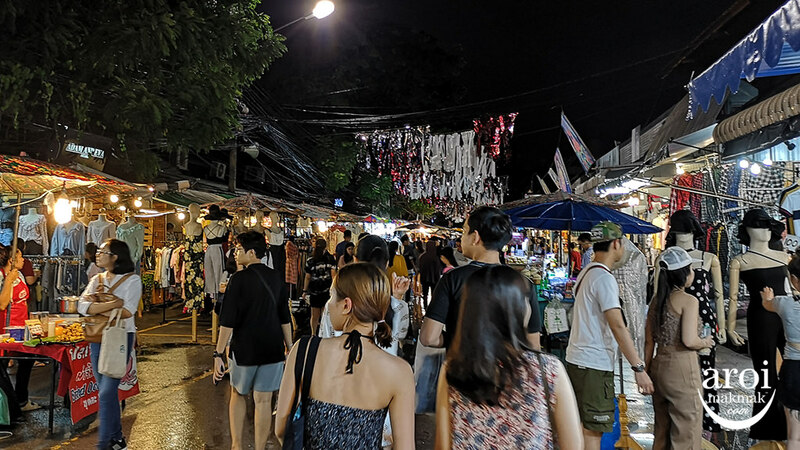 Curfew has already been lifted, you can now go to pub / club if you like or shop at night markets till late as public transport are operating as per usual too. In fact it is actually safer now under the control of the army. At least, there are no shootings in the middle of the night and so on. I have assured many of my friends who have the same concern as you, and they are indeed glad to go ahead with their trip. During this period, you can also expect more discounts from shopping centres, hotels and restaurants, which is good news for you. 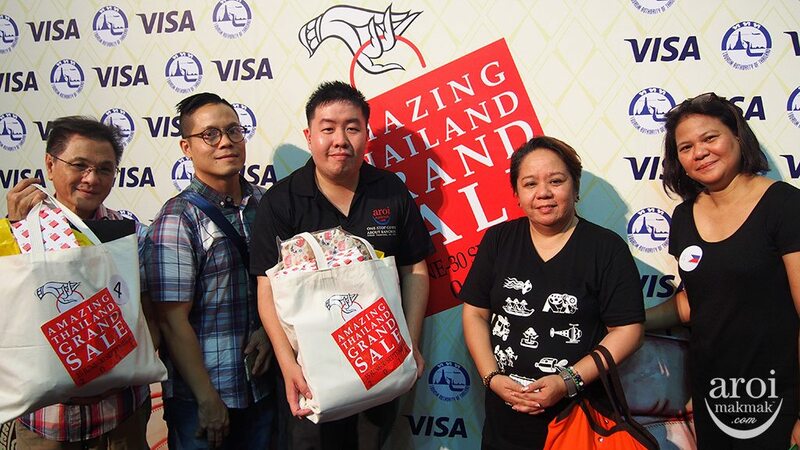 If you have planned a trip to Bangkok, don’t forget that Amazing Thailand Grand Sale 2014 is from 15 June to 30 September, 2014, visit (www.thailandshoppingparadise.com) to find out more!